Access to information and services has become easier and more convenient. Most people now expect, and sometimes even take for granted, the ability to watch a movie or pay a bill on their mobile phones, or order books and clothes from their home computers, anytime of the day or night. It is little wonder then that it has also become increasingly important for people to have healthcare services be just as easily accessible and convenient as their utility payment or banking records. More and more patients expect access, convenience, and quality care from wherever they are. Telehealth and telemedicine provide an answer to this growing need and expectation. Telemedicine refers to use of two-way, real-time interactive electronic communications and software to deliver "clinical services" to patients by healthcare providers at a distant site, supported by secure audio and video connections and integrated medical devices and is frequently used for follow-up visits, management of chronic conditions, medication management, specialist consultation and a host of other clinical services. Telemedicine vs.Telehealth - What is the difference? 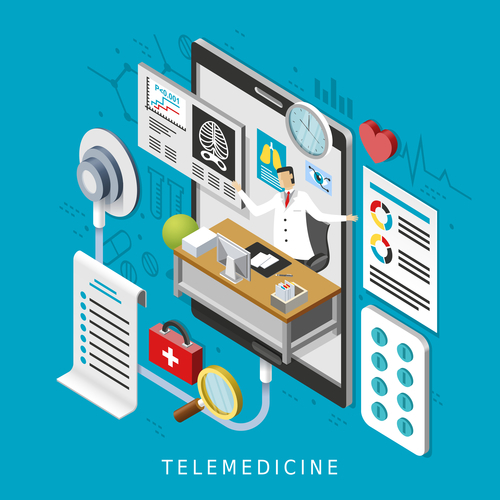 The American Telemedicine Association (ATA), among many organizations and individuals, considers the words “telehealth” and “telemedicine” synonymous. However, the Health Resources and Services Administration (HRSA) of the U.S. Department of Health and Human Services note a distinction between these two terms. HRSA considers telehealth to have a broader scope than telemedicine. While “telemedicine refers specifically to remote clinical services”, such as the transmission of radiologic images or a consultation between clinicians, "telehealth includes remote non-clinical services” such as provider training and continuing medical education, as well as “direct, electronic patient-to-provider interactions” through the use of devices “that collect and transmit health information to help monitor or manage chronic conditions”. Convenience – Telehealth gives patients the ability to reach their care provider from their homes or workplaces, without the hassles of commuting, parking, getting in line, and waiting. They can access care without having to take time off from work or school, or juggling multiple schedules. They can even keep their medical appointment in spite of bad weather and traffic. Savings in both time and money – A recent study estimates that the typical ambulatory clinic visit takes up a total of 121 minutes of the patient’s time, with only 20 minutes spent face-to-face with their care provider. Video visits remove the time spent in non-care activities such as the traveling and waiting associated with in-person visits. This translates to significant money savings for patients as well, since video visits eliminate the need for gas or public transportation costs, as well as possible childcare or eldercare costs. Improved access – The barriers of seeing specialists are reduced by telehealth. Even when specialists are located at a distant city or state, patients can now see them without having to stress out about driving or flying over a long distance, or taking time off work and in some cases arranging for overnight accommodations. Better health outcomes – Because patients are able to access their care provider more often via video visits or secure messaging, they become more empowered to manage their conditions and health better. 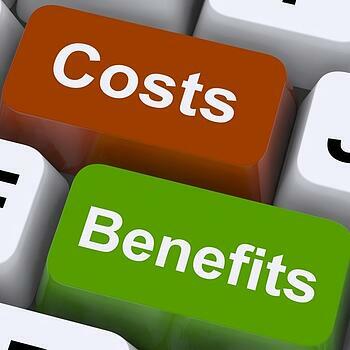 These benefits individually and as a whole make telemedicine great patient satisfier. No wonder patient demand for these services is fast gaining traction. Flexibility – Virtual visits give Providers the ability to work outside of the clinic (whether from home, while out of town, etc.). Increased productivity and less burnout – Physicians can get more done in less time when they don’t have to deal with a daily commute and traffic in order to start seeing patients. Improvement in the bottom line – Providing telemedicine services helps decrease no-shows and cancellation rates, as well as gives Providers the ability to accommodate a “virtual patient” when a no-show causes an opening in their schedule. It may also encourage patients to seek services more often, or attract new patients. Improvement in the patient-provider relationship and patient engagement – By opening up lines of communication that are more convenient to the patient, Providers are able to bolster patients’ confidence in their ability to reach them. This in turn can lead to better reporting and monitoring of issues and symptoms, which lead to improved outcomes. MACRA implemented new ways for Providers caring for Medicare beneficiaries to be paid, including for telehealth services. Major changes to the MACRA’s Physician Fee Schedule and the Quality Payment Program (QPP) announced by the Centers for Medicare and Medicaid Services (CMS), which included a proposed new rule that will increase payment for telehealth services. In a phone conference call in July, CMS Administrator Seema Verma noted that "under this proposal, Medicare will start paying for virtual check-ins, meaning patients can connect with their doctor by phone or video chat”. The Merit-based Incentive Payment System (MIPS) “Improvement Activities” measures lists two ways that telehealth can be reimbursed, including the “use of telehealth services and analysis of data for quality improvement” and “using remote monitoring or telehealth options” for rural or remote patients undergoing anticoagulant management. The VA this year published its finalized rule titled Authority of Health Care Providers to Practice Telehealth. This rule empowers Providers to deliver care via telehealth within and across state lines as well as outside VA facilities. Coverage for Telemedicine: Who pays for these services? CMS covers telemedicine services if specific conditions are met, and reimburses covered telemedicine services at the same rate it reimburses in-person visits. Commercial payers have already started to cover telemedicine services as well. 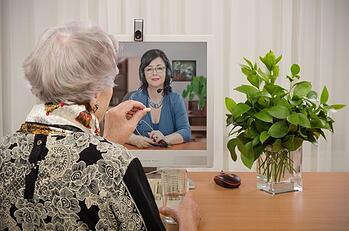 So far, twenty-nine states and Washington, D.C. have “parity laws” for telemedicine. This means that commercial payers are required to reimburse telemedicine visits at the same rate as in-person visits. However, there hasn’t been a universal set of reimbursable services. Both CCHP and ATA have information about these parity laws, and care and due diligence must be taken to research and understand the laws applicable to each specific state and payer. Live, 2-way interaction between a person (patient, caregiver, or provider) and a provider using audiovisual telecommunications technology. Personal health and medical data collection from a patient in one location, which is then transmitted to a provider in a different location. RPM helps clinicians and patients manage chronic illness. It uses devices, such as Holter monitors, to transmit information, including vital statistics — like heart rate, blood pressure, and blood oxygen levels. Smartphone apps designed to foster health and well-being. These apps offer a wide range of health-related help. A small sample includes apps that send targeted text messages to encourage healthy behaviors, alerts about disease outbreaks, and reminders that help patients adhere to specific care regimens. Increasingly, smartphones may use cameras, microphones, or other sensors and transducers to capture vital signs and venture into RPM. While telemedicine services do not need to be integrated into an EHR, doing so leverages the patient’s clinical information already in the EHR to support and improve continuity of care. In an integrated system, providers are able to give better quality care when they have access to a more comprehensive picture of the patient’s health and medical conditions beyond a single visit. This may include laboratory and imaging results over a period of time as well as progress from other clinicians, among others. Networked programs that link tertiary care hospitals and clinics with outlying clinics and community health centers in rural or suburban areas. Point-to-point connectionsusing private high speed networks which are used by hospitals and clinics that deliver services directly or outsource specialty services to independent medical service Providers, such as radiology, stroke assessment, mental health and intensive care services. Monitoring center links which are used for cardiac, pulmonary or fetal monitoring, home care and related services that provide care to patients in the home. Web-based e-health patient service sites that provide direct consumer outreach and services over the Internet. The Department of Defense’s (DOD) priority telehealth initiatives such as expanding telehealth infrastructure and adoption, developing Telehealth to a Patient’s Location (e.g. outside fixed facilities), and building a Global Asynchronous Teleconsultations Portal. The Department of the Army’s Virtual Health (VH) program which connects patients and Providers to health care across the world. The Agency for Healthcare Research and Quality’s (AHRQ) telehealth projects that include telewound care, provider-to-provider training, determinants of successful telemedicine implementations, and direct patient support through messaging or mobile applications. The Indian Health Service’s program that provides an alternative means of accessing health services for many American Indian and Alaska Natives populations that may reside in isolated communities. Ability to provide remote cancer care to patients, with the same perceived quality as in-person visits. An on-call telemedicine platform, where patients can be seen by remotely by doctors with emergency training, from the comforts of their home. This successful model, implemented by Upstate Medicine Concierge to workers at 90 companies in the Albany area and the Northeast, uses a monthly recurring payment system instead of a fee-for-service process. For medical practices, PrognoCIS EHR offers a Telemedicine solution that integrates seamlessly with the EMR software. This interoperability provides faster and more accurate diagnoses, improved efficiency in care coordination, quicker treatment, and more. Research and understand the implications of adding telehealth to your practice. Even when you can’t immediately implement a full-fledge virtual visit program, some aspects of telehealth such as secure messaging and online scheduling via a patient portal may be possible and can help pave the way for more offerings in the future. Work out the logistical details with your leadership team and staff. Perform due diligence by researching and understanding federal regulations, state laws, and commercial payer reimbursement rules. Communicate the plan with your patient base and solicit their feedback. This will give you an idea of the level of interest and demand from your patients. 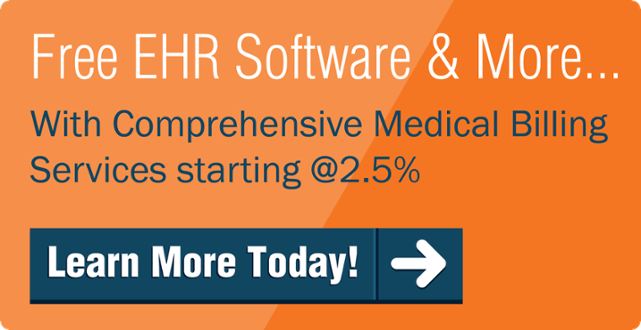 Discuss the availability of telemedicine features with your EHR vendor. Once providers understand why telemedicine is important to the structure of their practice, they can then work on finding the perfect vendor of telemedicine software to set their practice up for success. 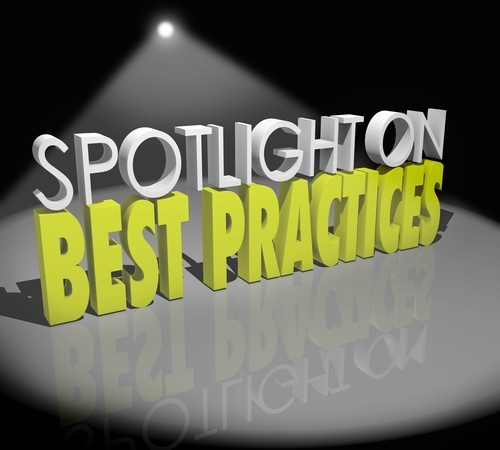 A quality vendor is crucial to making sure a practice has the quality technology it needs to provide quality care. The American Medical Association has an online module called Steps Forward: Adopting Telemdedicine in Practice, which walks Providers and practices through the process of evaluating and preparing to launch a telemedicine/telehealth service. Additionally, the Telehealth Resource Center has comprehensive information for organizations and individuals who are actively providing or interested in providing health care at a distance. Modern telehealth and telemedicine have come a very long way since the 1940s when the first radiologic images were sent via telephone across 24 miles in Pennsylvania. The advent of the internet, along with fiber optic cables, wireless technology, and wearable tech, has ushered in a new era of telehealth. With a forecast worth of $16.8 billion by 2020 in North America alone, the telemedicine market is experiencing unprecedented expansion and growth. While laws and regulations have some catching up to do, CMS and state regulations have started to adapt to the new reality. Perhaps soon we will see new regulations and even programs that address the telehealth needs for a vast number of the population, especially for seniors, those with chronic conditions, and those in remote areas. Practices need to adapt to these changes as well. There is a growing need to consider not just video visits and wearable tech but also the internet of things (IoT), virtual and augmented reality, and the use personal health analytics, among other tools, to improve health across large distances. 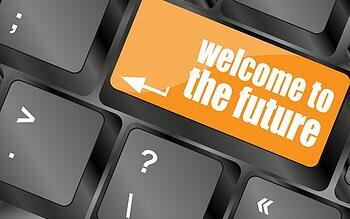 Telehealth and telemedicine are no longer just visions of a distant future. They have arrived, and they are here to stay.